In the USA, the legal system may require your global company to have proper legal representation. The Mentz Firm can help you and your company find the right representation for protecting your company and your customers. We offer class action securities and consumer protection assistance. George Mentz is an international lawyer and licensed US attorney who holds a Juris Doctorate Degree, an MBA, and a Graduate Certification-Diploma in International Law along with earning several other consulting certifications, credentials and wealth management designations. 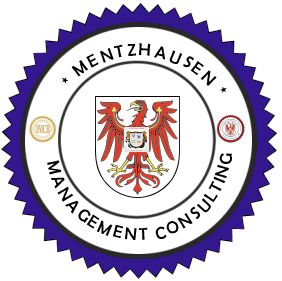 Prof. Mentz - he & his companies have provided help and services to thousands of persons around the world, to Fortune 100 companies, and privately held corporations in over 20 nations. Over the years, Prof. Mentz has taught over 2000 students and he continues to be a advocate for victims rights. As an Attorney and Law Professor, George Mentz has focused on Consumer Rights and Protection. Prof. Mentz is presently a licensed attorney with the Mentz Law, LLC .~ George Mentz - as an associate with Kahn Gauthier LLC ) founded in 2001 by Wendell Gauthier, the nationally prominent lawyer most responsible for the national tobacco settlements in excess of $200 billion, and numerous other recoveries for thousands of plaintiffs in excess of $3 billion. The Ability to create & develop business alliances in: Latin America, India, China, Singapore, EU, Africa, and Arabia. As a Consumer Rights and Intellectual Property Attorney: Mentz has assisted individuals and companies with both lawsuits and class action legal consulting for the USA. Mentz has assisted injured parties in receiving compensatory rewards for damages. Mentz has also fought for consumer and business rights in both the USA and abroad and won key victories for his clients. Mentz Law represents clients that have suffered loss or injuries, whether physical from ( Accident Disaster or Medical ) or financial theft or negligence from Securities Fraud. In these types of cases, the law firm may work on contingency arrangement, whereby plaintiffs have no up front lawyer fees. The firm only gets a fee if the Mentz Firm assists in obtaining a recovery for a plaintiff. Mentz Law Firm may utilize a variety of legal means to pursue cases on behalf of its clients, including outside counsel, individual lawsuits, class actions, Multi District Litigations, and other complex forms of litigation. In addition to its class action, product liability, securities class actions, intellectual property and personal injury consulting & practice, The Mentz Law Firm represents companies that either engage in or are affected by e-business changes and global issues.